A quality bath Waste complete with brass plug with porcelain insert, oval link, brass chain and stay. Bristan design and manufacture their products using the finest methods and materials to ensure a high quality product. 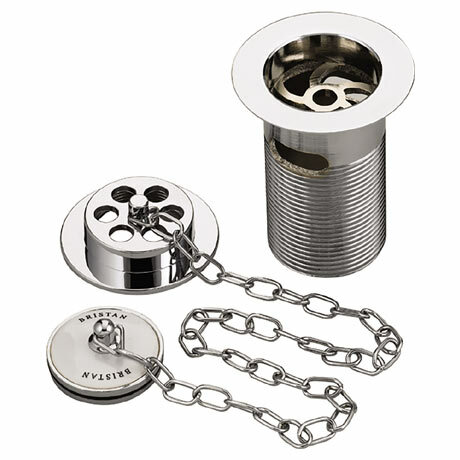 Waste Connection - G1 1/2"
Waste complete with brass plug with porcelain insert, brass oval link chain and stay.